My little push mower sounds like a hit-and-miss engine running on that old gas. And, while my stubbornness doesn’t allow me to waste the stagnant fuel, I’m a bit embarrassed as I sputter along through the lawn and always wonder what my neighbors must think. That was my first concern when I rounded the corner to the backyard and saw my neighbor pushing his smooth running and sophisticated overhead valve machine. I had never met these neighbors (other than their annoyingly barky dog) since they moved in a few years ago. I thought to just keep my head down and contining on my way without saying hi. But, realizing it was now or never, I decided to be neighborly and released the safety lever. “I’m never quite sure where our property line is…” I said, inviting his commentary on this extremely important matter of mutual interest (we quickly established that it ran from the corner of the sidewalk and past my big pine tree) before we transitioned into some other friendly chatter about the neighborhood. Of course, me being me, noticing his accent and NY hat, I was curious where he was from originally. So, picking an opportune time, when he talked about his wife being from another local town, I asked, “where are you from?” It was no big surprise when he told me he was from New Jersey. As we continued, a bit more relaxed now, we started to get into his Irish heritage. His grandparents had been born there. We talked about Dublin, how the animosity still lingers there today between Catholics and Protestants, comparing it to our relatively peaceable American experience. After 30-40 minutes of conversation, I had to excuse myself (Sarah, my sister from Congo-Brazzaville, needed a ride home from work because her car is in the shop) and finished the patch of grass before heading out. But had to think how wonderful this country is when considering the alternatives. Where else in the world can such a diverse population coexist in relative peace? Yes, obviously, it has not always been that way here, not all neighborhoods are as nice as my small corner of a blue collar town, and yet there are many things that make America a special place. Sure, our freedoms aren’t unusual in the world anymore or as broad as they would have been when this was a sparsely populated frontier, but there is plenty left of what still inspires people to cross oceans to be here. That said, I think we could lose that greatness and are squandering the potential to be greater when we pull away from each other in fear. Which is exactly what we will do when we stay inside (and focus on the few bad stories in the news continually) rather than have those simple neighborly conversations. We are a nation of over 320 million people, mostly immigrants from all around the world, and we’ve kept it together this long despite our differences. Yes, in a population as big as ours, there will always be bad stories to fret over, plenty of ignorant bigoted people and enough evil to keep you occupied for a lifetime. So, go ahead, spend your time amplifying those negative feelings online, if that’s what you want. But, if you would rather have a better nation, do what worked for me and have those little meetings with the person across the street, because white, black or otherwise… Catholic, Protestant, Mormon, Muslim, or irreligious… most of us would rather live in harmony together. I know this based in my many conversations like the one today. Stop listening to the divisive and hateful voices in the media and in politics. Every wave of immigration came with a little controversy and unrest. For example, Irish Catholics weren’t exactly considered trustworthy at one point in recent history and, yes, there was violence. But my neighbor doesn’t seem to dangerous anymore, he actually seems quite like me. Many people, whether they realize it or not, love for what they get in return and essentially are in love with their own image reflected in another person. This can be dressed up in many ways, it can be hidden under religious motives or romanticized, but it is (once all the layers of rationalizations are removed) a selfish love. For three years now I’ve sought after a different kind of love. For three years I’ve sought after the kind of love that sacrificed personal ambitions and loved another purely out of love for God. It was a love of faith, a love that transcends differences rather than be divided by them, and a love made possible only through God. I set out to do the impossible in belief that the words “with God all things are possible” were true and pursued the love of someone who was completely different from me in everything but faith. Unfortunately, this person—being that they are fundamentally different from me (despite our both being Mennonites)—did not see faith as a good enough basis and could not see the potential for love and refused even a friendly relationship. I don’t blame her. It was what she inherited from her parents and religious culture. Mennonites, despite their bluster, are really no different from their secular neighbors and promote the same perspective of love. That is to say Mennonites give advice like “find someone running the same direction you are” and centers on the wants of the two individuals. You don’t need God to explain that kind of love. But I sought something entirely different. I sought a love that was not self-seeking and shallow. I was seeking a deeper bond of a love that was truly self-sacrificial and put God at the center rather than the wants of individuals. Instead of two people choosing each other because they are similar, a narcissistic love, I hoped to find the love of two people who formed their ambitions together in a spiritual union with God. I met a wall of resistance. Mennonites may claim to love their enemies and practice non-resistance, but don’t try to be their friend unless you fit their list of requirements. I was not up to her standards. She told me she couldn’t love me the way that I wished to be loved, except I didn’t ask for love—all I wanted was a little faith and a chance. Imagine the exasperation of being told “hearts don’t change” by someone who plans to commit their life to missionary service. It makes me wonder why they would even bother going over land and sea? Evidently they aren’t going with actual faith in a God that makes the impossible possible. Perhaps they are going for the excitement or for the praise of religious peers? Anyhow, it is impossible to love someone who refuses to receive it. In her mind, as one who was “thirty years old living in Milton” I had absolutely nothing to offer her. She, taking cues from her father and religious peers, treated me more like a rabid dog than a brother in faith. They actually denied me a means to love or be needed by them. Severe disappointment leads to depression and many days I wished that I could disappear into my bed forever. I was hurting and not in the mood to be sociable when the notification “Sarah Zinia has sent you a friend request” popped up on Facebook. My initial thought was to ignore it. However, I decided not to use my own pain as an excuse. I remembered, “Do unto others as you would have them do to you,” and decided to apply that reasoning to this circumstance. I clicked “accept” not knowing what to expect. I was not kept in suspense. Immediately thereafter a message “hey” came from this mysterious new friend. So, still fighting the urge to ignore and deciding to apply the Golden Rule again, I said “hey” in reply. We exchanged our “how are you’s” and that marked the beginning of a very special friendship between two very different people. Sarah, I would soon learn, was in dead end of a town, living in a group home, a mother to a one month old baby Anthony, and had no car or public transportation. It was obvious she was very bored, and I knew that if I were in her shoes I would want to get out a little. So, in a moment of impulse, I offered to take her somewhere and she enthusiastically accepted. After a first meeting (and being a good Mennonite by too carefully explaining my platonic intent) we were regularly going out to eat, hiking trails, visiting parks and even shopping! She didn’t seem to care that I was a mildly miserable guy in his mid-thirties, she was simply glad to have a friend. Our conversations were light at first, usually about the food we ate or the weather, but soon I was learning about the struggles of a teenage single mother and life from the perspective of a refugee from Africa. Her story touched my heart and made my life seem like a walk in the park by comparison. Sarah was pulled away from her home country, taken from her mother (who she has lost all contact with) in a new strange country, raised by the state system, treated as a slave and bullied. I can’t go into details out of respect for her privacy and yet can assure you that she has gone through many awful experiences in her life. Mennonites, like many others who are so privileged, take for granted the security that a family provides for them. Sarah, by contrast, has been separated from her family and has been a half step from homelessness. 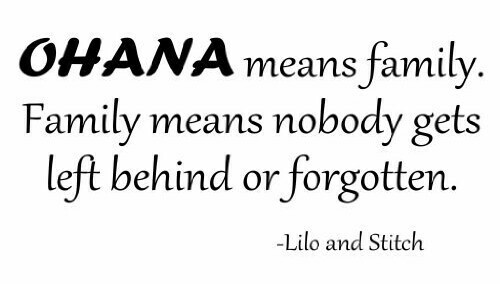 Yeah, sure, there are many government programs and private organizations to help, but none of that can replace family. She needed real family and that is why she decided to accept me as her brother from another mother. I treated her with respect. She did not need to ask, it was easy to recognize the void in her life and that she needed someone she could trust to be there for her no matter what. I tried to help her with her insecurities by assuring her that she would have a place to live even if I needed to give her my home and move back to my parent’s house. The friendship we have is impossible by a conservative Mennonite standard. I’ve had various people in the church express their ‘concern’ to me. Apparently, in their minds, a guy and girl can’t spend time together without bad things happening? And then there were those who advised me to practice some ‘tough love’ and cut her off when she went against my advice and moved back to Arizona. But I stopped caring what other people thought. I trusted my heart and knew my intentions were right. Sarah might be a net loss for my bank account, I’ve had to answer those late night calls, tune out a screaming baby (who had been perfectly delightful until alone with us in the car) and yet it was well worth it. The moments of laughter, the happy and sad tears, seeing her progress—priceless. She made my life meaningful again. I probably needed her as much or more than she needed me. She gave me a reason to care enough to get out of bed and her success has become my own. Witnessing her accomplishments over the past couple years has encouraged me not to lose hope because the odds are against me. Last year I met another dear soul through social media. I will never forget the first message where she apologized because she felt unworthy to be my friend. She was a poor little lost sheep, shivering in the cold dark world, a nameless number to the machinery of capitalism, and had lost all hope. Her family and her young son were far away in the Philippines. She was working to support her son, and (because the wage was a little better than in her home country) she was pressured to take a three year contract in an electronics factory in Tiawan. She lived in a dormitory with strangers. Her life had fallen apart. After her first message my heart ached with compassion. I tried to convince her that she was indeed worthy to be my friend and assured that I would be there for her as long as she needed me. But her descent from dreams of a simple happy life to the pit of despair was not overnight and restoration of hope would also take time. Despite being on complete opposite ends of the planet (exactly twelve hours apart) we had the same schedule because she was on night shift. So it worked out that every day she could be the first person I would greet and the last one I would talk to before going to bed. There were many times early on where she would come away from work forlorn. I would see the sad puppy sticker come across on Messenger and that was my signal to put everything down to get to the bottom of what was troubling her. My mission was not accomplished until she smiled. One day she asked me if it was okay if she called me “bhest” and, not seeing a reason why not, I granted permission. Since then I’ve been her bhest and tried to live up to that special distinction. My bhest has looked to me for assurance, for forgiveness when she made mistakes, and has privileged me with her faithful companionship. The sad puppy sticker has not made an appearance for quite some time now. Our daily reminders to each other to smile and be happy seem to create a sort of synergy or positive feedback loop. It seems that we get more out than we put in. We might be on complete opposite ends of the globe, but somehow we are twins and share one heart. She has transformed from a sad puppy to a bouncy dancing and happy puppy—that is a great source of happiness for me. It is my goal to continue to provide her with hope of that simple and happy life as long as I am able. Anyhow, what does nuclear fusion have in common with a sister, a sheep, and the love I seek? Nuclear fusion is a process in which two (or more) different atoms are pushed together with enough force that they overcome the forces that would normally keep them apart and they become one. The result is a release of energy and particles. 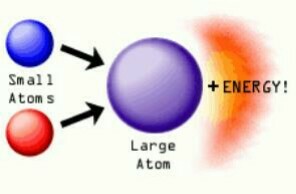 Nuclear fusion is the process occuring in stars (like our sun) that continuously converts hydrogen atoms into helium and creates light. There is research underway to replicate the conditions necessary for nuclear fusion to occur. The reason for the effort is the tremendous potential for nuclear fusion to be a renewable and clean energy source. Once the reaction was started (using a tremendous amount of energy) it would create far more energy than was used to start it and solve many problems of how to power our future. My vision is for a love like nuclear fusion. A love that takes two very different people who are not naturally attracted and bonds them together through a faith greater than the differences. The idea would be a composite of two people of like faith with normally incompatible strengths and ambitions who are held together through a supernatural love. That is why I set out a few years ago praying for the impossible to be made possible. It was my hope to see this fusion of very different people who transcended their own independent dreams, sacrifice themselves completely (rather than find someone like themselves) and became bonded in a faith greater than themselves. I had a vision of a tremendous potential yield. And, I suppose, I may have gotten part way there. I’ve seen people as different as black and white become family. I’ve also found a love that can literally reach around the globe, and bridge east to west. I’ve seen relationships that produce a synergy and seemingly more output than the energy put in. But what remains to be seen and impossible? I have yet to see a good Mennonite from the in-group make a commitment of love to someone outside their exclusive club. Yes, I’ve seen them love a good project, I’ve seen them budge when hammered and make small concessions. But, for these good religious people to truly reach for faith in something beyond their own comprehension and current abilities? That, like nuclear fusion, remains out of reach (at least for this man) and impossible. So what is my positive vision for love? I asked God to make the impossible possible, and when I asked, I was seeking after that greater love—the fusion love of faith. And, I’m not sure I’ve arrived at an answer yet. I have many questions. However, what I do know is that I have been changed over the past few years and now things that were impossible are closer to reality for me. I have lived to be an answer to prayer even while my prayers seem to have gone unanswered. I’m determined to help others see their own visions of a greater life become their reality. The picture above is my family. Not a family caused by biology or religious culture either, but one formed of obedience to conscience and love. Do you share my vision for a transcendent love?